Choose Your Lawncare Company with Confidence. 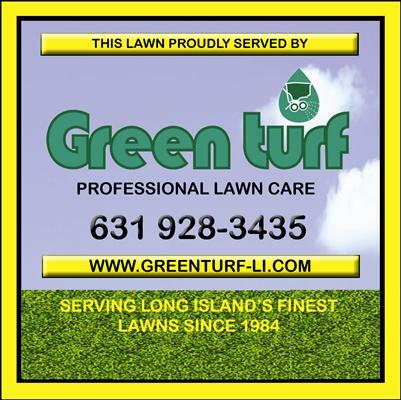 We are a locally owned and operated business serving Long Island Since 1984. We pride ourselves on providing outstanding service. 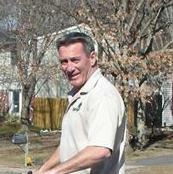 First, we will inspect your lawn and provide a complete written analysis of its condition. Then, with your approval we will return to your home to make timely seasonal applications each designed to meet the needs of your lawn at that particular time of year. Any time you have questions or concerns we are a phone call away. Service Calls are always free and provided in 2 working days. Communication Questions, concerns and solutions to potential problems are just a phone call away. We will take the time to explain everything in as much detail as possible. This is the most important part of lawn care; with good 2-way communication you are sure to be a satisfied customer. We use only the best products available - granular slow release fertilizers and the highest quality control products available to the industry. This may cost us more initially but the results are worth it in the long run. All of the products we use are thoroughly researched, and tested products approved by the E.P.A. and N.Y.S. for use on Long Island. We use only slow release fertilizers with micro nutrients for enhanced performance on your lawn and to minimize nitrogen leaching into the soils. Our yard stays looking beautiful year-round thanks to these people, who do an amazing job. 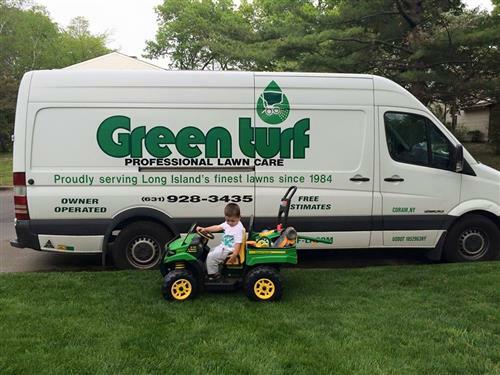 Do you have any experience using Green Turf Professional Lawn Care? If so, please rate your experience and let others hear about it using the form below.